On Saturday, March 23, one of the Global Advantage co-op students attended the United Nations Sustainable Development Goals Youth Training Conference hosted by the Algonquin College Office of Applied Research, Innovation & Entrepreneurship. The purpose of the event was to not only spread awareness of the goals, but to encourage youth to take ownership of them and implement them in their own lives. The conference included a variety of speakers, including representatives from government, Guayaki (a private company), and the UN, including the Food Security and Nutrition division. It is exactly this kind of private-public-non-profit collaboration that the UN emphasizes as the key to achieving the 2030 Agenda, otherwise known as the Sustainable Development Goals (SDGs). 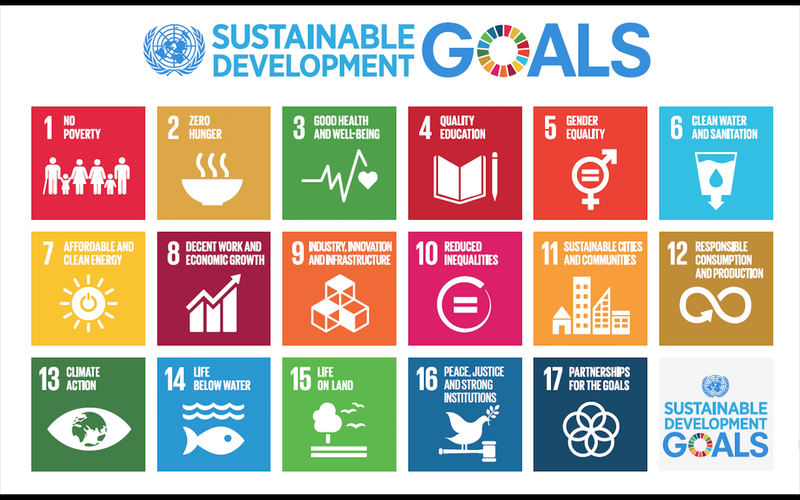 The SDGs are a series of 17 goals, adopted in 2015, designed to leave no one on the planet behind in eliminating poverty and inequality while combating climate change . This ambitious combination of social, economic, and environmental goals means that no single country or sector can solve these issues alone; collaboration and coordination are paramount to success. Theory is all well and good, but what do the SDGs look like in practice? A perfect example would be Guayaki, a company who sent a representative to the conference to talk about the intersection of business and the SDGs. Their business model encompasses negative carbon emissions, empowerment of workers, and replanting rainforests. Its success demonstrates how companies don’t have to choose between turning a profit and contributing positively to the global community.This demonstrates the interrelated nature of the SDGs; they are not isolated targets and can in fact be mutually supportive. The conference especially emphasized how these goals must be integrated into the lives of citizens through local engagement and implementation to be truly effective. When it comes to engagement and implementation at a local level, this doesn’t mean creating entirely new projects to address the SDGs. It is far more effective to adapt existing projects to address some combination of the SDGs. This gives students and youth the power to incorporate the SDGs into projects they are already involved with on campus or in the community. It’s a question of asking yourself, how can whatever I’m already doing be more sustainable and globally minded? Global Advantage is a company that incorporates elements of the SDGs into its business practices. We are particularly aligned with Goal 17, Partnerships, which seeks to improve connections and communication between citizens, public sector, and private sector around the world . Global Advantage permits others to understand where they fit within ecosystems, helping them to identify key stakeholders they should be engaging with. We strive to solve the problem of Canada’s often fragmented R&D ecosystems, and in helping our clients to better connect with others, we are creating a world with more effective communication. While the SDGS may appear to be an impossibly complex platform, it comes down to the 5 Ps that are the pillars of the 2030 Agenda: people, partnerships, planet, prosperity, and peace . These key tenets can be brought into any activity a person does, and as we do so, we create a better world for ourselves and for others. The SDG Youth Training Conference was a great opportunity to engage the members of our community with the greatest potential to impact our collective future.